A minimum of 24 hours notice is required for all repeat prescriptions and we must insist on this due to the increased volume on requests, repeat prescription requests can take up to 48hrs to process. Please ensure that you know the name and the dosage of the medication when ordering. Any discrepancy may mean a delay in issuing your prescription. 1. By contacting the surgery on 028 9145 2410 and selecting the option 1 to leave a voicemail on our dedicated Repeat Medication requests voicemail box. 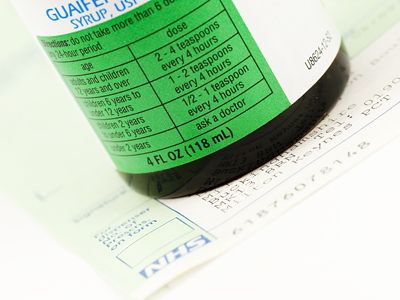 Leave your name, date of birth and first line of your address with the name and dosage of the medication you require. This may take up to 48hrs to process especially if requested on Friday's or across the weekend. 2. Post box - located in reception. Use the right hand side of your prescription with a tick beside the medication required and drop into the post box. This may take up to 48hrs to process especially if ordered on Friday's. You will not be able to use the post box at the weekend. 3. Online - you must be registered for this service (see details below) medication requested using our online facility can take up to 48hrs to process. Please do not request an antibiotic when ordering your prescription online as a doctor needs to speak with you regarding prescribing antibiotics. If your medication is not on your Repeat List you must telephone the surgery between 930am and 430pm to request this be issued by the doctor. This will take a minimum of 24hours to process. Using the online system will allow you to request or check your repeat prescription online and view, book, or cancel your appointments with the doctor online. You will need to register with the practice to access this service. Once registered you will be given information that will enable you to create your username and password. If you are interested in this service, please download and complete the form on the back of the information leaflet or call into the surgery and collect the registration form. All prescriptions dispensed in Northern Ireland are free of charge. This includes medication, wigs and surgical appliances. There are some medications that are not available on the NHS, the GP will inform you of this if appropriate. If your medication is started at a Private Health Facility, your prescription will be charged for and continued by the clinician who started it. You do not need to do anything to qualify for free prescriptions as everyone is automatically entitled. Please allow a minimum of 24hours and up to 48 hours, excluding weekends and Bank Holidays, for your request to be processed. Any problems please telephone the surgery.